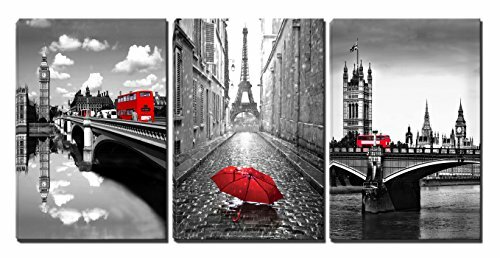 It's a perfer wall decoration for Living Room Bedroom Office,Picture photo printed on high definition canvas. Stretched with wooden frame on the back.Ready to hang and easy to hang flat to the wall. Please be noticed that the image is just for displaying not for scale,so measure your area before purchase. Picture photo printed on high definition canvas,100% satisfied guarantee. A perfer wall decoration for Living Room Bedroom Office.Due to different brand of monitors, actual wall art colors may be slightly different from the product image. Gallery wrapped and stretched with wooden frame on the back. Ready to hang and easy to hand flat to the wall. A strong hook is already fixed on each wooden inner frame for easy hanging out of box,installation is simple and convenient. Packed in Carton Box. If you have any questions about this product by Xinqi art, contact us by completing and submitting the form below. If you are looking for a specif part number, please include it with your message.